Big Duke will be aiming to go one better than last year when the stayer contests the Metropolitan. 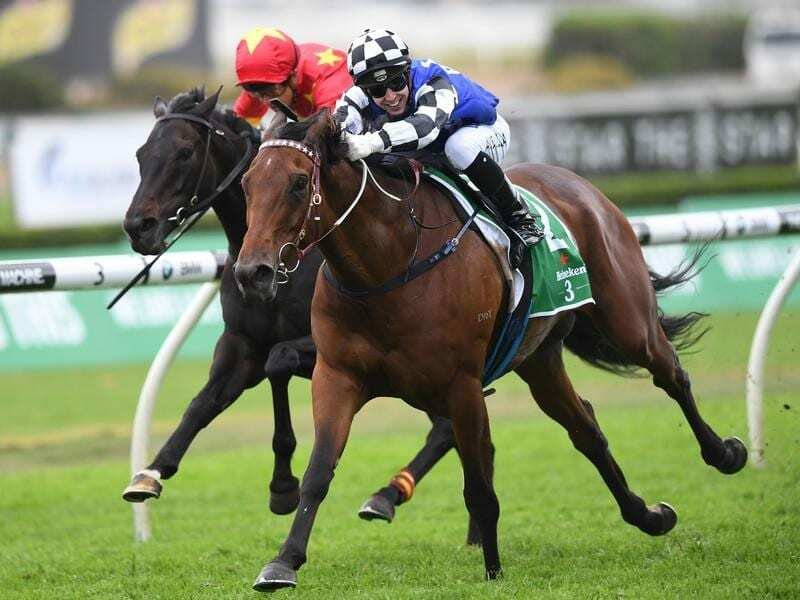 Australian Bloodstock’s Luke Murrell has given The Metropolitan contender Big Duke a major vote of confidence, rating the stayer in superior shape to the same time last spring. Trained by Darren Weir, Big Duke finished second to Foundry in the corresponding race last year before going on to win the St Leger and finish fourth in the Melbourne Cup. “Darren said from before he had his first race this campaign he’s going just as good, if not better, than he ever has. He’s just a marvel,” Murrell said. “He had a little chip out after the Melbourne Cup and you’re always a little bit cautious about how they come back. Big Duke returned with two efforts over unsuitable distances at Caulfield then came to Sydney for the Kingston Town Stakes where he was an eye-catching fifth to Godolphin Melbourne Cup hope Avilius. In a perfect world, Murrell said Big Duke would have had another run ahead of Saturday’s 2400m assignment but hoped that would be offset by an adjustment in his training. “We aimed him more towards the (Melbourne) Cup last year, where this year we’ve had our aim as the Caulfield Cup,” Murrell said. “So even though he’s one run short he might be that little bit sharper. Big Duke has won six of his 20 starts in Australia, three of them in Sydney, and he’s yet to miss a place in four starts over the Metropolitan distance. The Group One staying feature has attracted a capacity field of 18, eight of them from the Chris Waller yard including favourite Brimham Rocks.